Already people queuing on friday afternoon for sat morning's opening! 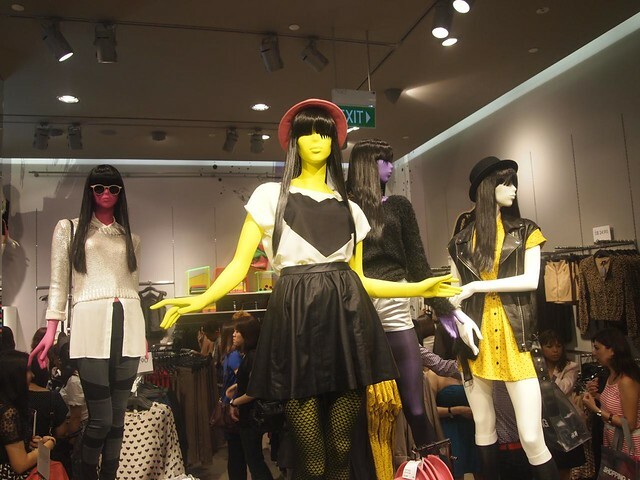 H&M opened to great fanfare at Orchard Building just last Friday and I was among the lucky group of people to get a preview of the huge fast fashion store spanning 3 storeys at Orchard Building, before the store officially opened on Saturday. 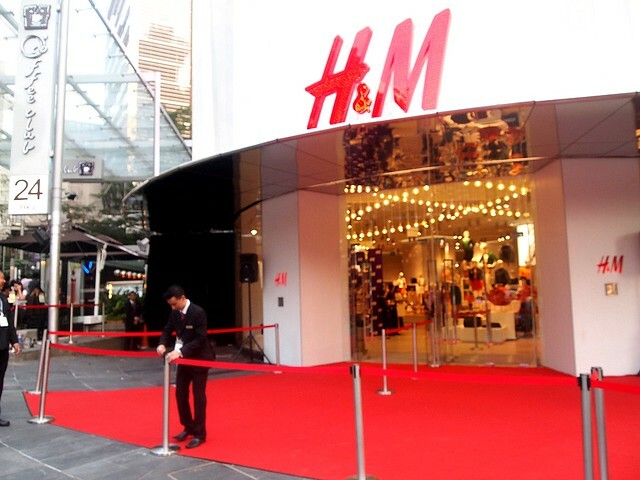 There was quite a reasonable crowd of people outside the store anticipating the appearance of celebrities and onlooking the fashionable crowd strutting the red carpet outside H&M, while another long queue snakes outside the store. 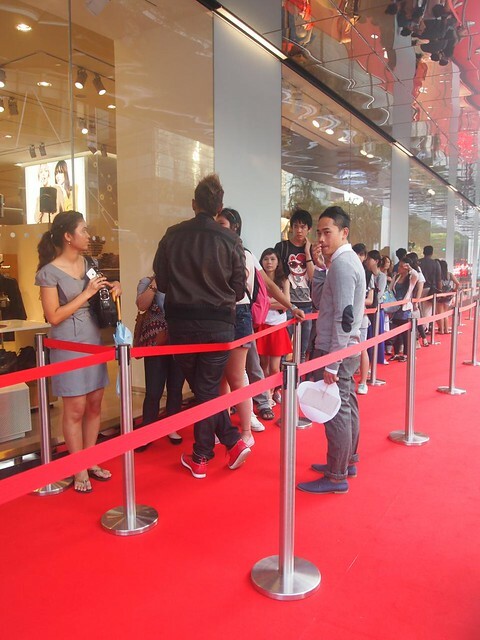 Looks like the competitive mentality of Singaporeans reigns even superior in the younger generation as there are already many people queuing outside H&M - the first 5 people get a $250 shopping voucher and the first 200 people get a $20 shopping voucher. The first floor stocked the latest styles for pre-fall - in a retro 60s style of A line skirts, pussybow blouses, pea coats and cropped jackets in dark green, yellow and burnt orange, coupled with some pretty awesome saddle faux leather bags. You should buy: Pleated pazillon pants (available in black and white), mint pleat maxi skirt (sheer with shorter inner lining), navy blazer, red faux leather cropped pants, checked riding harem pants and matching blazer and neckscarves, Celine inspired luggage tote, other awesome costume jewelry. Suede paperbag shorts paired with wooly knit. I like how the different sections were compartmentalized into different styles for easy mixing and matching shopping pleasure. 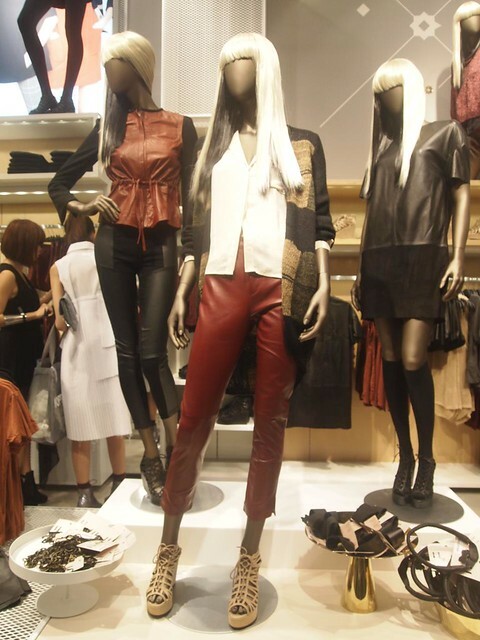 I especially loved the selection of faux leather pieces in the form of red leather cropped pants, leather paperbag elastic shorts, pleather insert shift dresses and also leather jackets with cotton sleeves that looked extremely chic. 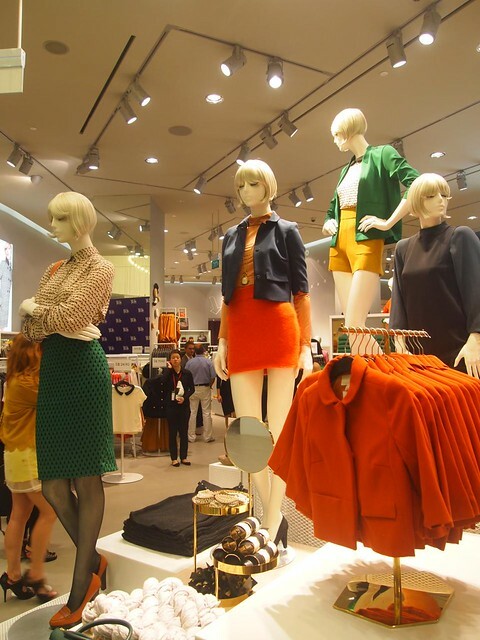 The boho section stocked floral print highwaist shorts, suede camel paperbag shorts, aztec print skirts, lace and chiffon batwing blouses, while the work section stocked 60s shift dresses paired with mustard leggings. 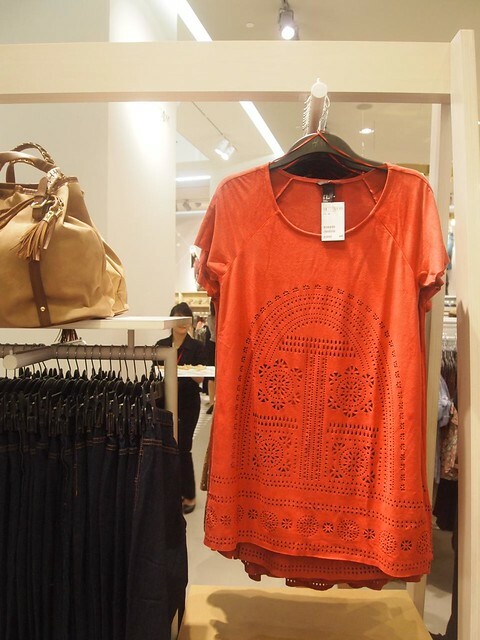 The more affordable range was up on level 2, stocked with more casual wear such as sleeveless blouses with peterpan collars, leather "fbt shorts", tee shirts, jeggings and basic knitwear. Bargin hunters should look out for their $7.90 basic tees, tank tops and jersey bandage skirts. 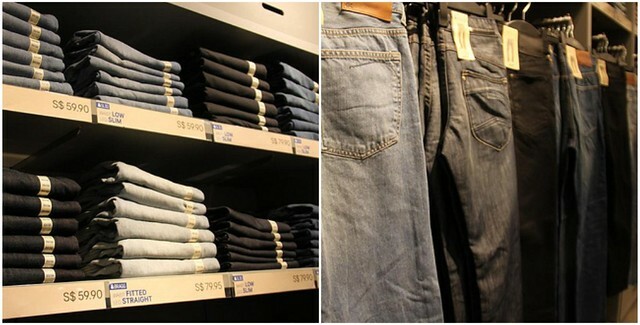 A note of warning before you rush off to H&M though - dressing in H&M does not make you stylish. 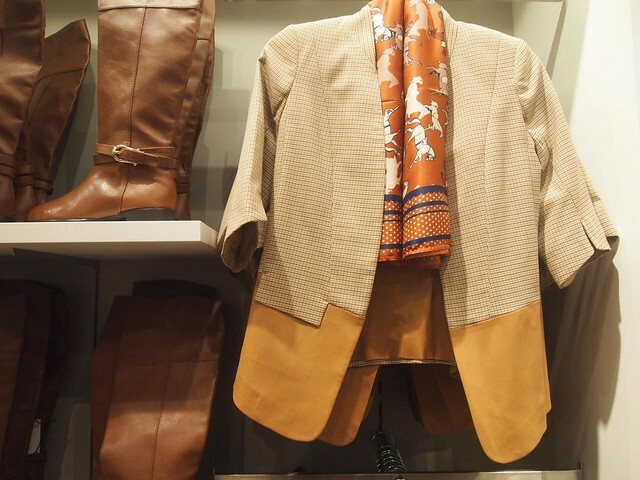 What makes people look chic and cool with individuality is their confidence and the way you put their clothes together in a certain cohesive look that exudes their attitude. You should not neglect local designers just for H&M because H&M is a fast fashion chain that delivers new styles almost everyday - they follow trends, not individuality and self expression. You wouldn't wanna be caught wearing the same things as everyone else now do you? More on lingerie, menswear and kidswear under the cut! 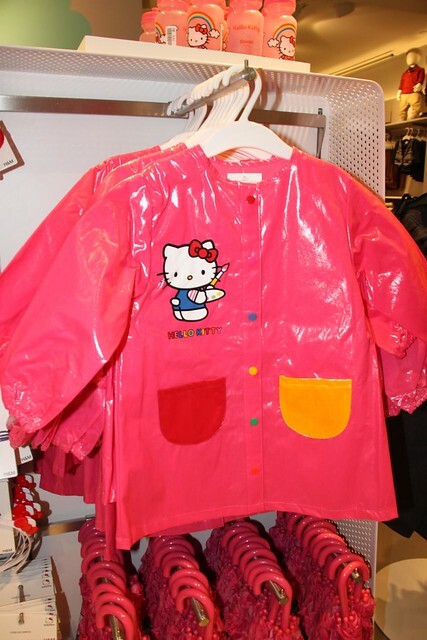 Super cute Hello Kitty clothes & accessories in kids section! 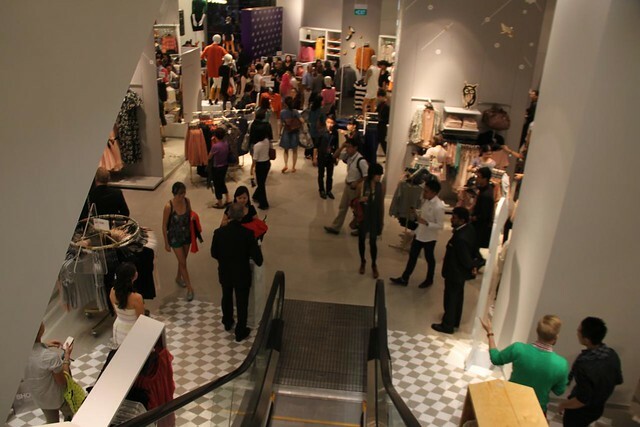 Equally impressive is the dedicated lingerie section for ladies on the second floor, where one can find a wide range of loungewear and lingerie with its own separate fitting rooms. 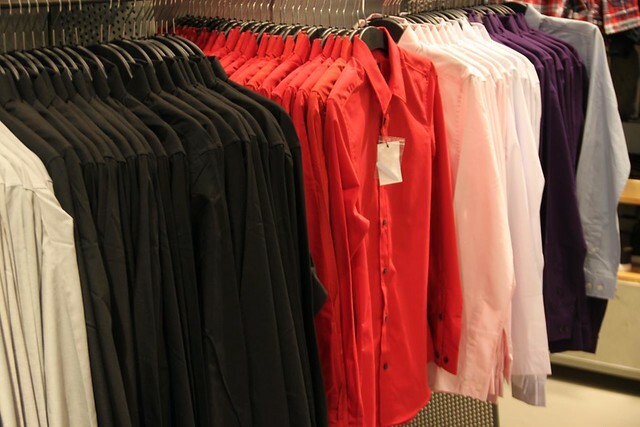 The menswear and children wear section are located on the third floor, with extremely affordable prices for men. 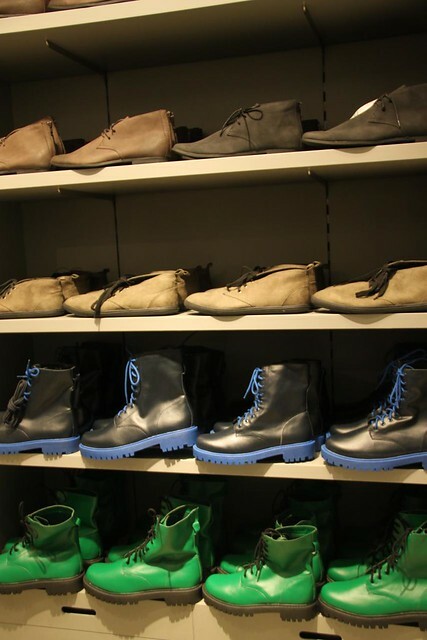 Tshirts going at only $18, shoes for $40 and the well made trench coats at $160. Kidswear was a burst of cuteness with Hello Kitty everything - tiny brollies, rain coats, rainboots, water bottles, socks, shoes...I would definitely wanna dress my little girl in these in the future. 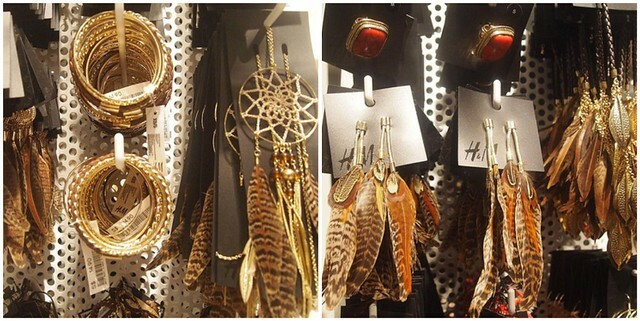 I would advise you to visit H&M in October after all the hype has died down. It's never fun shopping when you're jostling with throngs of people and not getting enough mirror space. I agree with your note of warning, haha, although H&M is great for certain things once in a while. It must have been exciting to be there! I've never been to a grand opening of a store or anything like that. Wish we were in Paris for fashion week again <3 Hope you're well!